Black + Blum's unique Dinner-Loop Candelabra will throw you for a loop! Graceful yet edgy, it was created by two European designers who are determined to show the world that great design doesn’t have to break the bank. That’s the general idea behind many of Black + Blum’s Loop collections, actually! These pieces are designed to be truly original, to in turn create for you an original home. 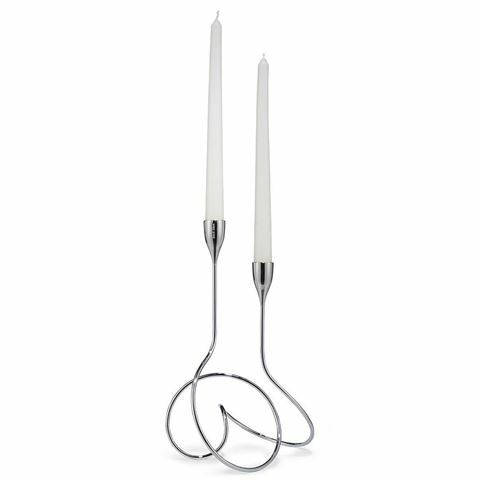 Handcrafted, and finished in shiny chrome with inserts for your candles. Suitable for two tapered candles. Presented in a Black + Blum box.